If, like so many of us, you’re looking to begin the new year by cleaning out and organizing your stuff, your billfold might be a good place to start. After working three stints at the Putnam County election commission last year, I know what it’s like to spend hours on end looking at other people’s wallets. As a registrar, I helped get folks started with the voting process. “I’ll need to see a photo ID and your voter registration card if you have it,” was the first thing I said after “Hello.” Then the grueling and often lengthy wait began. Although a staff member in the lobby had already told voters they would need to show these items, many didn’t have them in hand when they arrived at my station. Women would often heave an enormous purse onto the counter and begin digging through it in search of their wallet. Out came cell phone. Keys. Gum wrappers. Eyeglasses. Wadded-up Kleenexes. Make-up. Snacks. And, finally, a wallet. “Somewhere in here is my driver’s license,” they’d say with an embarrassed laugh. Then they’d start pulling out sales receipts and folding money, credit cards and dozens of other plastic cards until, halleluiah, what they needed finally appeared. Men were no better. Many of them carried wallets so overstuffed I can’t imagine how they ever fit in a pants pocket. They, too, had receipts and cash and plastic. Lots and lots of plastic. Oftentimes, the driver’s license was crammed so tightly into the smudged and scratched viewing window that there was no way–short of a strong pair of needle-nose pliers, which I just happened not to have at my station–to get it out. In those cases, the voter would usually just give up and hand me the entire wallet. Then I’d do my best to match the picture on the ID with the flesh-and-blood human standing in front of me. Good grief. If this wallet-talk reminds you just a little bit of yourself, don’t despair. Cleaning out a wallet is way easier than cleaning out the garage or even the coat closet. Open that billfold and take everything out. Throw away receipts you don’t need. File the ones you do. Assess the plastic you’re carrying. 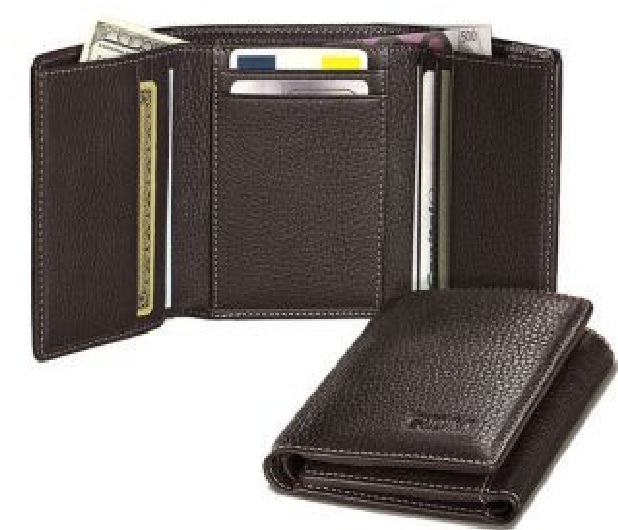 Keep the one or two credit cards you actually use and put the others in a safe place. Or cut them up. If you have a wad of gift or rewards cards, store them until you’re ready to go shopping or out to eat. Organize your folding money with big bills in back and vow to spend down the ones and fives first. Throw your change into a bowl and cash it in when you have enough to fool with. But please-oh-please leave your driver’s license and voter registration card right there in your wallet where you can find them. The 2018 elections will be here before you know it.